The "Raya" Romper in true red from Lemon Loves Layette is a slightly different version to the "Peony"romper. 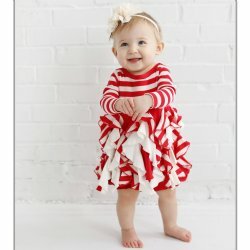 Both are equally adorable. The "Raya" features a criss cross sweet ruffle across the bodice and ruffles on the legs. 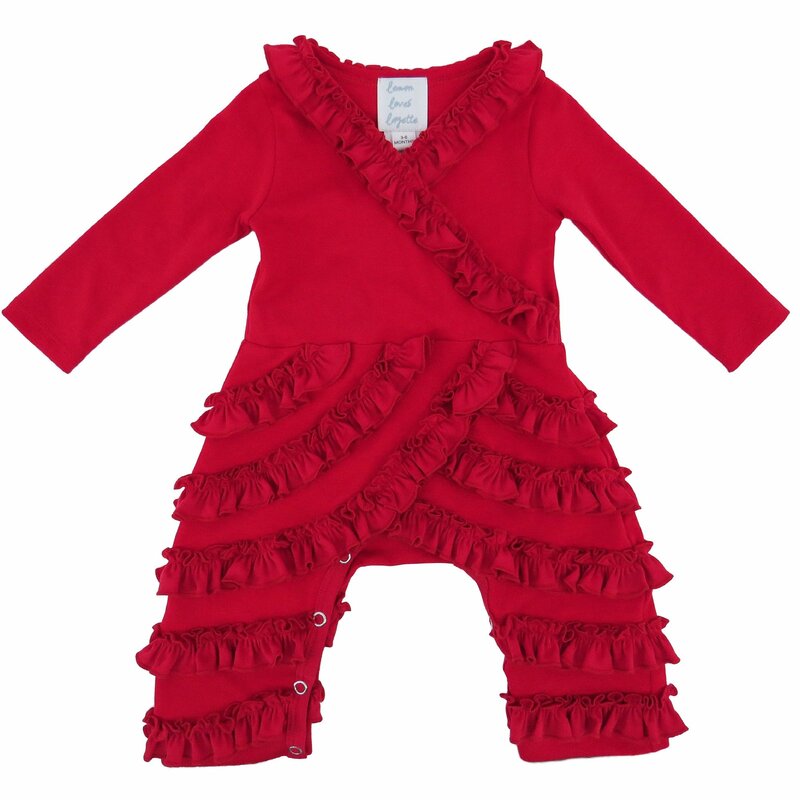 This is a great holiday romper that will keep her looking festive, yet warm and comfy. 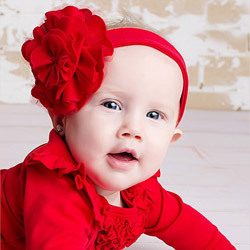 Consider pairing with the Rose headband in true red, as shown in the photo. 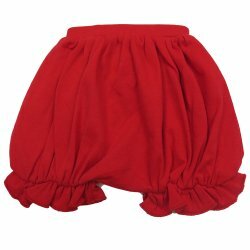 Add the True Red Wrap or Bliss Blanket for a great baby shower gift. 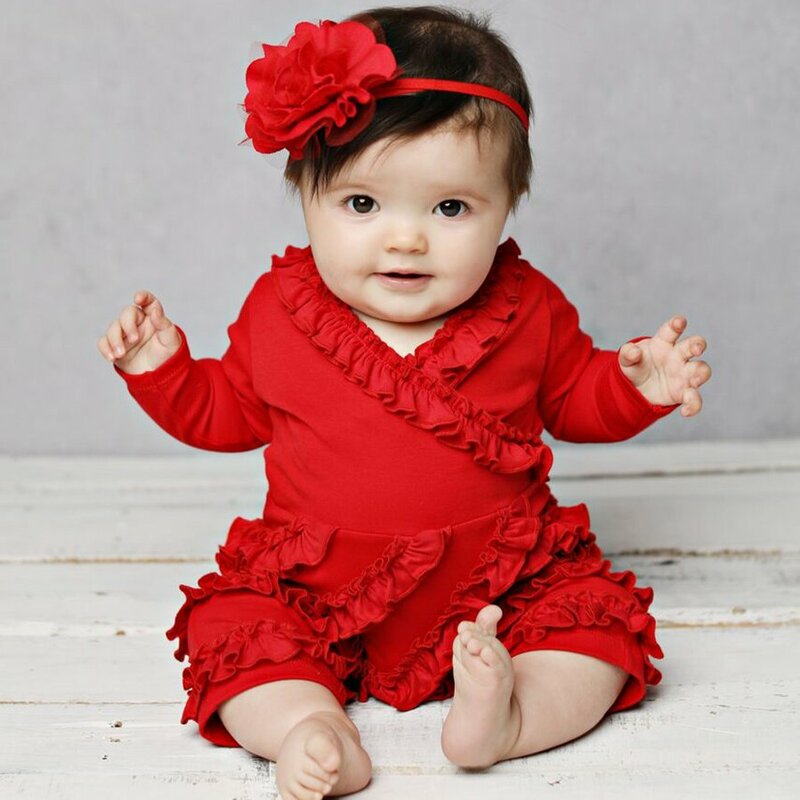 Check out more Fall Rompers from Lemon Loves Layette.